Description: Vermont has very few early blob top mineral bottles of this stature. In fact I have not seen one like this, or another J.D. 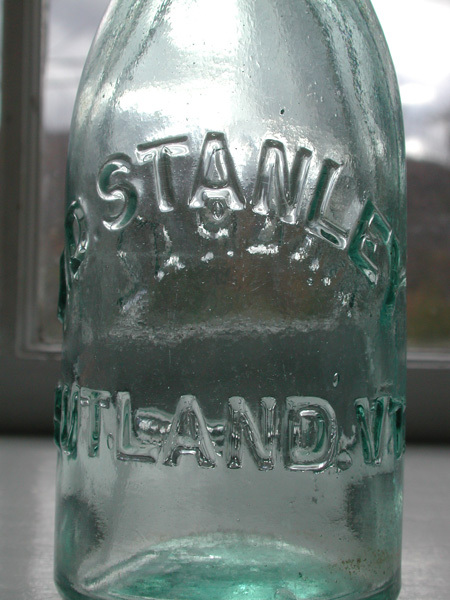 STANLEY in more than ten years of seeking out Vermont bottles. This is a great example, very strongly embossed.